A Failed Experiment or Cultural Resistance? Native American scouts were widely used by the US Army beginning with the Revolutionary War. Indian scouts helped the military navigate through unfamiliar terrain and cultures. These native men, however, served for reasons of their own, and often resisted both military discipline and attempts to change their culture. Like most Army posts on the western frontier, Fort Spokane relied on native scouts. Indian scouts interpreted, guided soldiers through the wilderness of eastern Washington, and brought back vital intelligence to the Army. At Fort Spokane, being an Indian scout was at first not a permanent military role, but more of an auxiliary unit. From 1884 to 1886, native scouts agreed to serve for six months. Five to ten scouts were on hand at any given time. The men would bring their families to live with them in tents just outside the fort. The scouts wore their traditional attire, as they were not formally enlisted men in the Army. In 1891, an army inspector reported that there were ten Indian scouts at Fort Spokane, by then wearing regulation uniform. "They were remarkably neat," he observed, "and the saddle requirements and horses were in very good order." Their tents were pitched in "regular order" and "the grounds around are very well policed." He concluded: "I was impressed with the soldierly appearance of these Indians." Later that year, General John Gibbon decided to professionalize the Indian scouts, who would now be treated as regular soldiers. Natives that did enlist into the Army at Fort Spokane were appointed to Company I (which stood for "Indian"). They received supplies, a salary, schooling from officers’ wives, and uniforms. It was believed that enlisting American Indians as regular soldiers would both ease the chronic manpower shortage of the Army and help "civilize" the native soldiers. The effort was not a success. By 1893 a mere twelve Spokanes and five Colvilles were enlisted. The natives were disappointed with the lack of military action and the constant drilling and formal parades. They complained that their uniforms were “too tight” and “prevented circulation of air about their persons.” An article in the Spokesman-Review claimed that "one company commander gave the the men permission to remedy this defect as they saw best. The next morning they showed up on parade with the seat of their trousers cut out." The monotony and rigid discipline of military service in the American West was felt by white officers and enlisted men as well. But unlike the white soldiers, the native soldiers were in their own homeland, and found it easy to desert the post and return to their villages. The officer corps at Fort Spokane disliked the use of natives for this very reason, and also for their continued insistence of bringing their wives and families to live with them at the fort. On August 2, 1893 by special order, Company I was disbanded due to desertions and poor recruiting efforts. Major General George Crook summed up the failure from the white point of view: “An Indian fighting as an Indian is an effective soldier; as a member of a civilized army he is useless.” The Spokesman was more diplomatic, declaring that "the Indians were as brave as any troops ever enlisted," but "could not be made soldiers of the modern type." 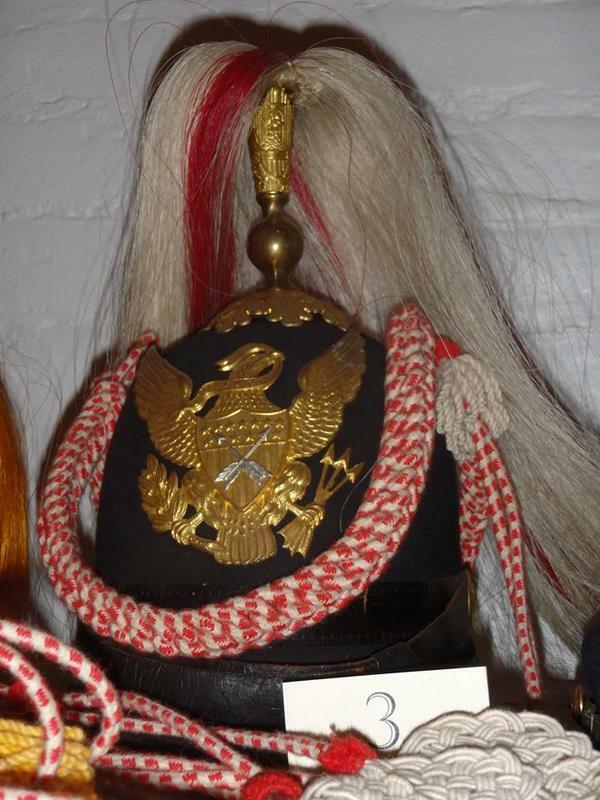 Indian Helmet: This helmet once belonged to a native scout in Company I at Fort Spokane. It illustrates the attempts to make the scouts more like regular troops. ~ Source: Photograph courtesy of Lake Roosevelt National Recreation Area. 44150 District Office Ln, Davenport, WA 99122 ~ The grounds are open year round. The Visitor Center and Museum are open in the summer and by request during the fall, winter and spring. Please call for exact dates and times. 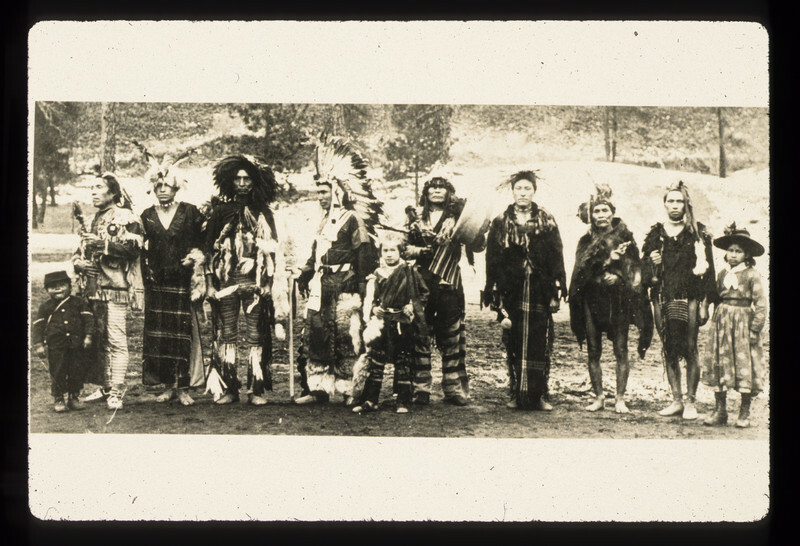 Ryan Yetter, “Indian Scouts at Fort Spokane,” Spokane Historical, accessed April 19, 2019, https://spokanehistorical.org/items/show/688. 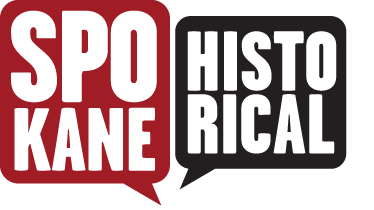 Sentinel of Silence: A brief History of Fort Spokane, by David H. Chance. The Spokane Indians: Children of the Sun, by Robert H. Ruby and John A. Brown. Wolves for the Blue Soldiers: Indian Scouts and Auxiliaries with the United States Army, 1860-1890, by Thomas W. Dunlay.